"I have a LOT of scraps that I would like to use this year. 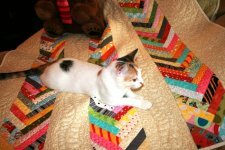 I have been trying out different fast and easy methods of using them in my quilts. One very easy method is the "Herringbone" quilt. This is a very old and very easy method. 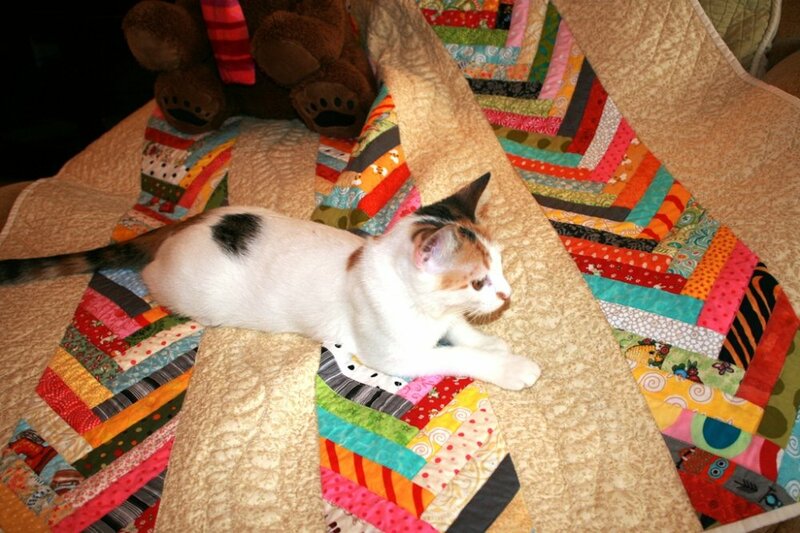 Best of all, you can custom cut your strips to fit the size scraps you have. 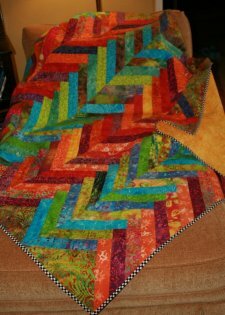 Both of the quilts above were made using this simple method."